I love starting my class with a question of the day. A visual question of the day gives my students opportunities to communicate and express themselves with having to wonder if they are wrong or right. No matter my students abilities, they can all answer these questions (and enjoy doing it)! Another perk to doing these questions right at the beginning, is I can have something for my students to do if class doesn't start on time, or if all students aren't ready to go right away. I have journal options including drawing, writing one word, or writing sentences that students can complete while they wait. I display the question on the board and pick a student to lead the question of the day. This student then goes around and asks each student what they like. Then, that student moves each student's picture under their answer. Since each question has two pictures, I can easily print two copies and put the option on a two button switch for my non-verbal students to say which one they like. Of course, if my students have their own communication device, they use that instead. I make all of my students work on answering in complete sentences during this time. Each answer starts with "I like" and then the student chooses the one that they like. Some students I challenge by making them state why, " I like _____ because." Laura M: "This is literally just what I needed for morning work right before our morning meeting. Thank you! It allows me to get set up while my students are engaged and not making mistakes on a worksheet!" Special Kiddos: "My students love the question of the day now. I use it during circle time and I get a fly swatter and each student gets a turn to hit the choice given to them, they love that part. I make them repeat the full sentence to me to work on speech. Awesome!!" this teach LOVES SPEECH: "Absolutely love this product! So often we focus on right and wrong answers ... I'm excited to learn more about my students by asking questions that I don't know the answer to and there is no right or wrong answer. Great product!" CKspeechlanguage: "Love this product for encouraging independent question answering. Perfect for a variety of kids ranging from gen ed preschool to High School students with special needs. Thank you!" The Speech Spaniel: "These were wonderful both as a speech "warm-up" with my life-skills students as well as the full activity for the session." I know resources like my daily questions, and year long resources like these journals and life skill math packs make the school year a lot easier for me. Less planning is always a good thing because there is so many other things to focus on at the beginning of the year! What do you think is the most challenging part of starting off the school year? Getting everything set up and organized how I want it is always challenging! Getting everything to fit in the day! I think the most challenging, but exciting part of the start of the school year is getting back into routines with your students. If you have new students it's finding their place and getting them use to the classroom culture. I feel like the start of the year is kinda like seeing a family member you haven't seen in a long time... it takes a few days, but you are comfortable and can pick up right where you left off in no time! Getting adjusted to new students and the changes in returning ones. Also coordinating schedules. Especially this year because I am still waiting on records for several kids. The most challenging part of coming back to school is learning new students. New behaviors. New communication patterns, new triggers, new motivators. I know them by October...but August and September are part of a HUGE learning curve! Getting the room ready as well as all of the materials an resources you need. Getting to know my new students. The hardest part this coming school year is feeling burnt out! We also have had multiple kiddos transfer into our small school so it's a lot of (additional) initial work right away! The most challenging thing for me this year is learning what works and what doesn't work for my students. The most challenging thing for me at the beginning of the year is getting to know my non verbal students and bridging the gap between my non verbal lower students and my verbal/communication users. The hardest part of begging for more classroom prep time! Scheduling for the kids and the IA's. Scheduling buses, instructional assistants, and IEPs because some you have to do right off the bat. New kids moving in to my room! And knowing if you will have the same para in your class. I think the most challenging part of going back to school is getting everything organized for the year. It feels like there is never enough time! 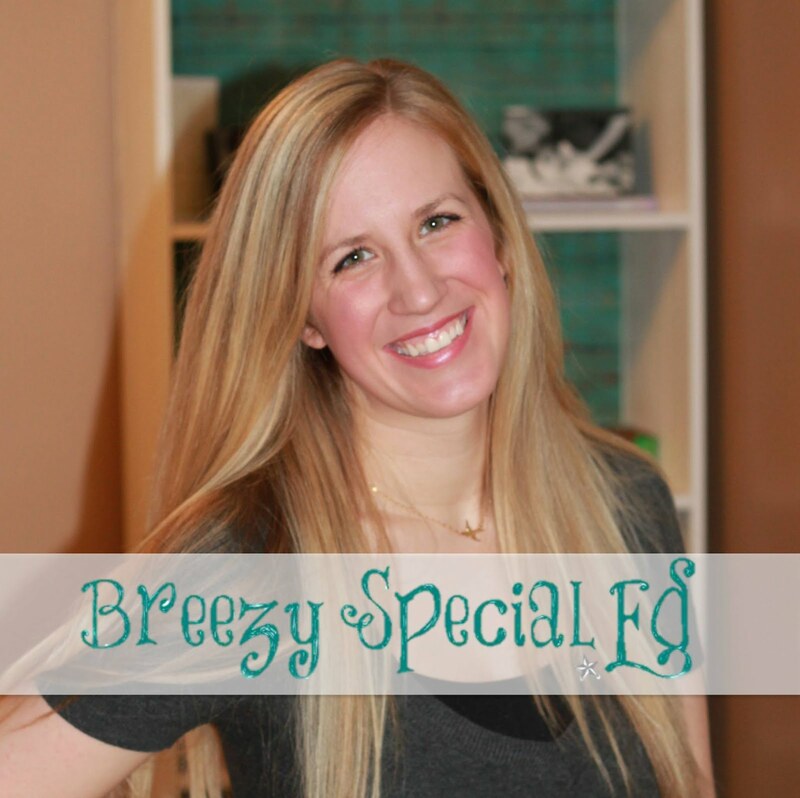 Scheduling is my biggest challenge with specials and therapies. Scheduling and getting the routine in place. training a new paraprofessional how to correctly present trials to students and manage data collection at the same time with fidelity. Training new paraprofessionals on data collection and prompting! Definitely scheduling, but also just getting students and staff back into structured routines. Being trained each in another data gathering assessment! I love the idea of a daily question. Scheduling and getting the IEP materials together. Another great post from one of my favorite bloggers. I own the question packet and LOVE using it with my high school students with Autism. Reteaching skills that were lost over the summer. This is my first year teaching special education so everything is a challenge right now. The most challenging part for me is getting everything organized and differentiation for different needs. Getting organized and finding time to meet with my staff. I work in a therapeutic day school and superive 3-4 PAs, though its literal hell getting time to meet with them AND getting the classroom ready for the day. This is also a great way to incorporate voting into our morning meeting, especially during this electoral year! Scheduling, preparing staff, and getting room ready. Most challenging thing for me know where to start first. I have so many things I have to do that I get overwhelmed knowing if I working on the most important thing or not. Preparing my daily schedule is one of the most challenging back to school things to do. I think coming up with a schedule that works best for all kiddos is hard! Especially when you do not know the kiddos and how to meet their needs just yet! I think scheduling with paras to try to get all of the support the students need to be successful in general education classes. For me, the most challenging part of the new year is establishing routines and schedules while getting to know the needs of new students.